6 Questions to Ask Before Migrating Legacy Applications. Wondering what to do with your legacy applications? As a CIO, consider the benefits of migrating legacy applications to the Cloud, and ask yourself 6 key questions before making the move. and one-fifth admit to having at least one major application that has remained unchanged for 15 years or more. Managing legacy systems is becoming too costly, as a whopping 60 to 80 percent of companies spend their IT budgets maintaining them. It’s no wonder CIOs are choosing to migrate legacy applications to the Cloud. In fact, according to a report by the Cloud Industry Forum (CIF), the overall Cloud adoption rate in the UK is now 84 percent. What Are the Options for a CIO with a Legacy Application? A legacy application continues to operate long after it has outlived its original mandate. Companies are so reliant on these systems that they become increasingly difficult to decommission, update, or migrate with each passing year. It is especially difficult for CIOs to “pull the plug” if an application performs adequately. But adequate is no longer good enough. Organisations held prisoner by legacy systems will be unable to keep up with evolving technology, and fail to meet customer expectations. Cloud migration is the only option that can effectively breathe new life into an aging application, but only under the right conditions. The truth is not all applications perform ideally in the Cloud. When they do, however, the benefits can be tremendous. What Are the Benefits of Migrating Legacy Applications to the Cloud? A survey conducted by Gartner cited cost savings, innovation, and agility as the main reasons IT managers and CIOs adopt the Cloud for their applications. So how does the Cloud deliver each of these benefits? Cost Savings: There is an obvious CapEx versus OpEx advantage to exchanging physical infrastructure and internal management for a monthly subscription rate and outsourced support team. The internal resources needed to maintain aging applications; lack of integration with newer applications and devices; and cost of inefficiencies, downtime, and failures in legacy systems can add up to a big expenditure with waning ROI. Agility: Cloud resources are vast and scalable, making some legacy applications more flexible and resilient. Automatic resource provisioning and a high-performance SLA can be a major upgrade for clunky apps. However, you need to truly understand your legacy app and the configuration changes it has undergone over the years; Agility is as much about the way an app is designed, deployed, and managed as it is about the platform. To enjoy agility, you may need to go through a decomposition and re-architecturing process, rebuilding the legacy system into multiple microservices. Innovation: When it comes to legacy applications, innovation really means legacy application modernization. Companies modernize — or refactor, repurpose, and consolidate — in order to derive new business value from a (typically market facing) legacy app. For critical apps that support direct engagement with customers and partners, the innovation often takes place within the IT infrastructure, rather than within the app’s configuration. Running a legacy app as a managed, multi-tenant SaaS app, for example, may make it more accessible to end users. Or converting in-house IT services to a Bimodal IT model may enable you to channel low-cost, scalable resources to the apps that matter most. If you hope to experience these Cloud benefits firsthand, you must determine if your legacy application will be more efficient, reliable, high-performing, accessible, or mobile in the Cloud. In other words, you need to assess its business value in the Cloud in order to decide if it’s worth the migration. As a CIO, if you are considering migrating your legacy applications to the Cloud, then there are 6 key questions that you need to ask. 1. Why Do You Want to Move This Application to the Cloud? Is it to save costs, or help your company keep up with innovation? Are your employees demanding more mobility, or do you need to access greater compute resources? Spell out clear and specific goals for migrating your application to the Cloud, such as achieving 99.999% uptime or automating and simplifying patches and updates. Then use research and testing to find out if a Cloud environment can actually help you reach those goals. A Managed Services Provider (MSP) or other Cloud expert can also help you determine if migrating legacy applications is your best move. 2. What Business Value Can You Derive from This App in the Cloud? Does your legacy app continue to provide strategic value to your company, or has it become redundant? Will this app continue to provide value for the foreseeable future? If so, moving it to the Cloud may be the best way to ensure its longevity. If the legacy app no longer provides value, however, or you see that its value will deteriorate over the next two-to-five years, it may be time to think about decommissioning. If your application is approaching retirement, it may not fare well during a Cloud redesign, and pulling the plug may be the best choice for your overall IT goals. 3. What Critical Data Does Your Legacy App Contain, and Does Migration Pose a Risk? Evaluate your legacy application to determine if it contains critical data that may be too sensitive to move to the Cloud, such as customers’ personal information. If so, it may need to stay inside a firewall. You also need to understand how moving and storing critical data during a migration will impact your business. Assess the security threats of migrating an application to the Cloud, and run through the various scenarios that may result from a data breach. When the security implications far outweigh the benefits of a move, you’ll know that the application is too sensitive to benefit from a Cloud migration. Otherwise, your managed hosting provider can ensure that proper safeguards are in place to protect sensitive data before, during, and after the migration. 4. How Will the Application Perform in the Cloud? Let’s get straight to the point: will this application perform better in the Cloud? In some industries, such as insurance and banking, the applications were developed decades ago and some features just won’t work correctly in a Cloud environment. If so, you may incur additional costs to reconfigure the app for the Cloud. It’s also important to know how much data will be exchanged, as frequent data transfers may cause performance lags and impose higher costs. A simple “lift and shift” to the Cloud does not guarantee higher performance. But if the app can be retooled, repurposed, or separated into distinct workloads that do perform better in the Cloud, then a migration may be well worth the investment. 5. What Complexities Surround Your Legacy Application? Take an inventory of all of the existing components of your application, as well as any dependencies it has with other systems. How will migration impact these dependencies? Consider how your legacy app integrates with other apps, and the complexity of each integration. Can the systems continue to work together, or will performance be compromised? What extra measures will you need to take to successfully integrate other systems with your Cloud-based app, and are they cost-effective for your business? 6. Do You Have to Comply with Any Regulations? Are there industry regulations you must comply with that will prevent you from moving the application to the Cloud? Is there critical data that will be inadequately protected in the Cloud? Heavily regulated industries such as finance, healthcare, and government must comply with regulations regarding data security, privacy, and confidentiality that require specially managed security and storage. Fortunately, many providers tailor their Cloud services to meet specific compliance needs. Companies in heavily regulated industries should seek a provider that guarantees compliance with The EU Data Protection Directive, PCI DSS, HIPAA, or other guidelines. Many CIOs fear that a Cloud migration will place their business at risk. Don’t be held prisoner by your legacy applications; There are an increasing number of options for safe and successful migration. Before you take the leap, find a partner who can guide you through the process of migrating legacy applications and help you assess all possible cost, resource, performance, and security risk factors. An MSP can help you decide if your legacy applications will benefit from the Cloud, and provide managed migration services and legacy infrastructure support when you’re ready to move. 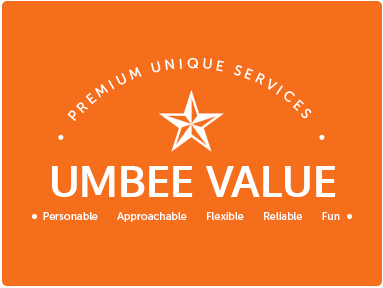 Umbee has extensive experience and deep expertise in migrating legacy applications, and we’d love to talk to you about how your critical apps can become more agile and cost-effective with the Cloud. Contact the Cloud experts at Umbee today.